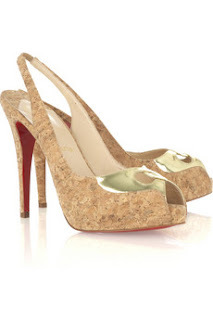 This just in.... theOutnet.com is having a sale on Christian Louboutin shoes. They have over 100 styles at up to 70% off. 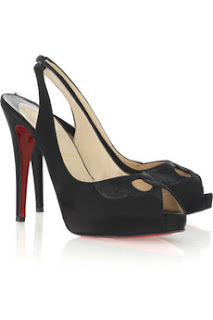 Check out these classic black satin peep-toe sandals for $372, originally $745 or how about these cork peep-toe shoes at $223, originally $745. Happy Shopping. That just made our day too that we could have helped. Congratulations on your wedding. We wish you the best.